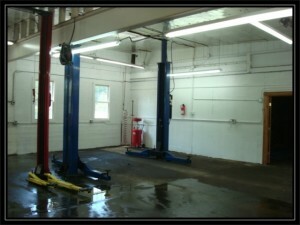 automotive repair shop August 1st 2013. 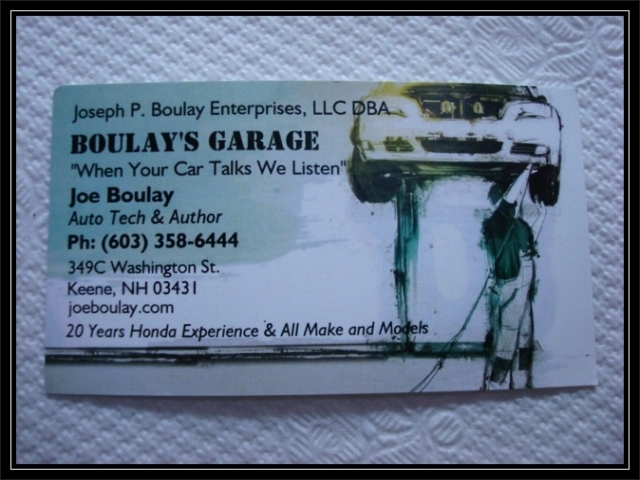 My shop will be called “Boulay’s Garage” mostly in honor of my grandfather “Earnest Boulay” who owned and operated “Boulays IGA” in West Swanzey N.H that closed around 1959. 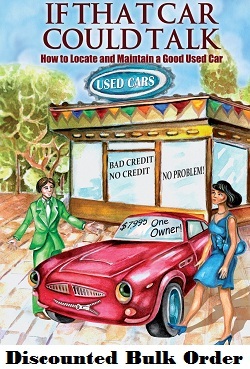 Now you can actually have the author of the book “If That Car Could Talk” work on your vehicle. Bring a vehicle to me to check over before you purchase it, if you want it looked over before you try to sell it,or if you want it looked over professionally to see what your vehicle may or may not need. It is my goal to reach out to people that want their vehicles to last a long time as they were designed to through preventative maintenance. Let me help you get the most from your vehicle. See you soon! « Jakob Says: My 2002 Toyota Corolla Has A P0420 And The Exhaust Sounds Loud.